If you haven’t already then you can check out my other Christmas gift picks in Part one and Part two of my gift guides. 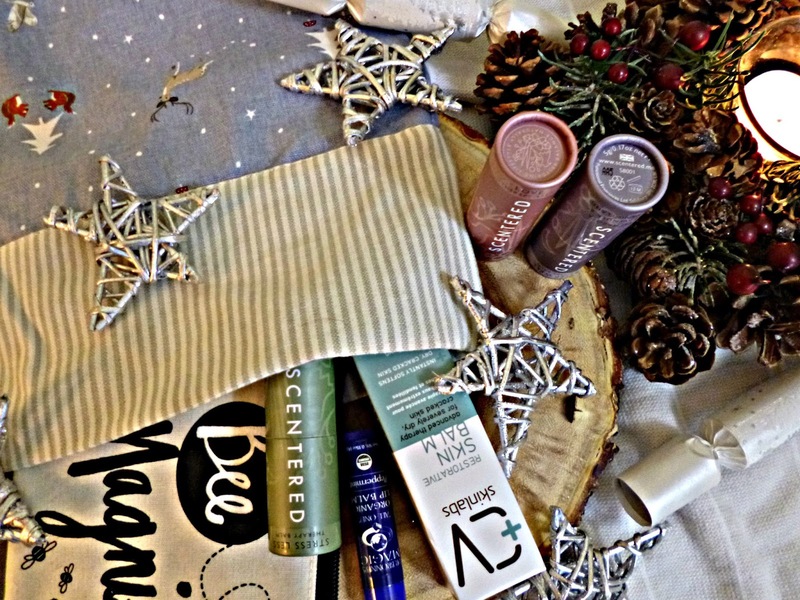 Todays posts contains some ideas for small gifts and stocking fillers. Starting with Nectar and Bumble an online shop devoted to all things bee. They have a beautiful selection of gifts including these adorable notebooks and this pretty little make up bag that would be a perfect addition to a stocking. I especially like the idea of filling the make up bag with some other goodies such as lip balms and skincare. 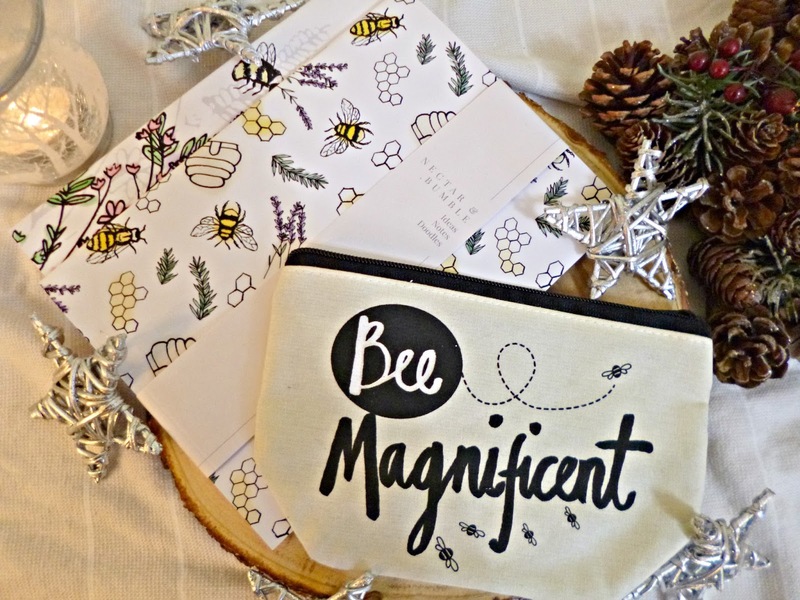 The site donates a portion of it’s profits to bee conservation and has such a pretty selection, lot’s of really unique ideas for presents so well worth a look. 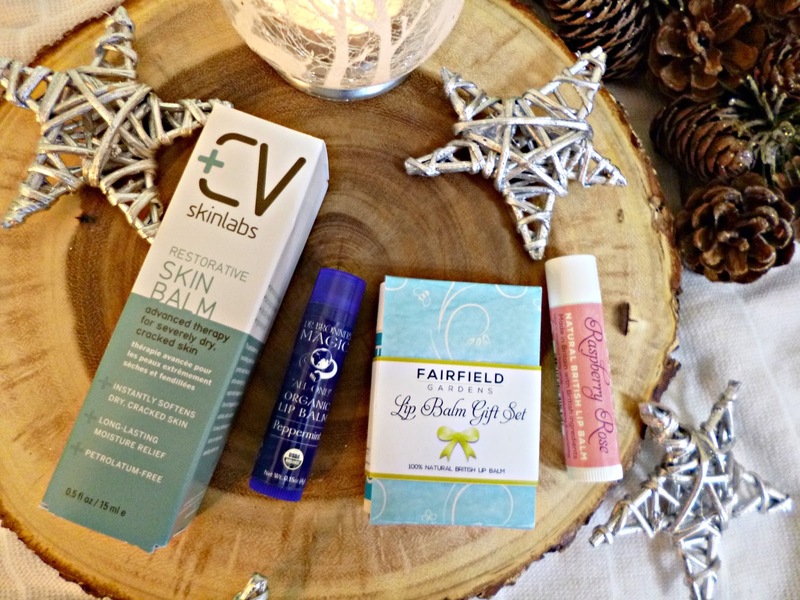 The CV Skinlabs Skin balm is one of my favourite multi-purpose balms and would make a great stocking filler for anyone with dry irritated skin or maybe someone who had been recently ill and is in need of some TLC. It makes a fabulous lip balm but cam be used all over the body. CV Skinlabs ships Internationally but you can also find them at Love Lula. Dr Bronner’s is a green brand with a great heritage, their castile soap is a cult classic product but I also rate their lip balms and bar soaps, both of which would make fantastic small gifts for anyone’s stocking. This sweet little boxed lip balm set from British brand Fairfield gardens comes with three gorgeous flavours; Spearmint and fennel, Rosemary and Lemon balm and Orange. They also have created a beautiful new flavour Raspberry and Rose flavour with lovely all natural ingredients. The aromatherapy balms from Scentered are a fantastic choice for a gift. They come beautifully packaged and there is a scent for every occasion, my favourites are Stress less and Sleep Well. The stick formula is great for travel too. 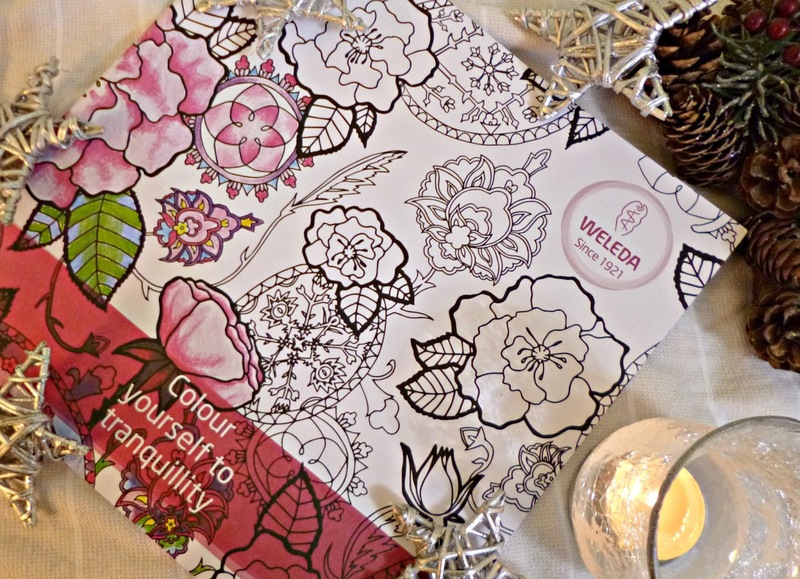 Weleda have created this beautiful Mindfulness colouring book in conjunction with artist Lizzie Hobbs. It has the most beautiful illustrations inspired by Weleda’s key botanicals and is such a lovely affordable idea for a gift. 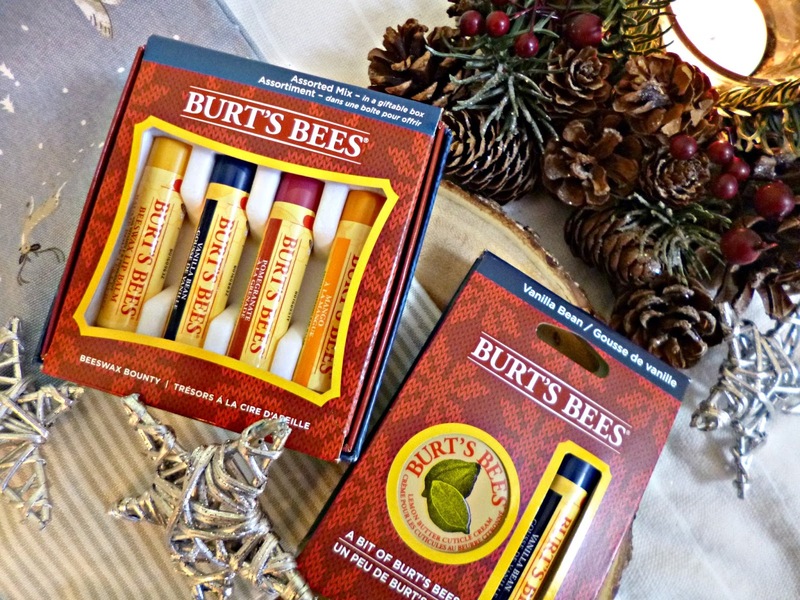 For anyone who is a lover of the classic Burt’s Bees lipbalm they have some lovely gift sets this year featuring their products. I like that the brand is readily available on the high street, so if you are not an online shopper these could be a good option for you. You can see the full range here.